Thank you for checking out Trinity Lutheran Church and School! 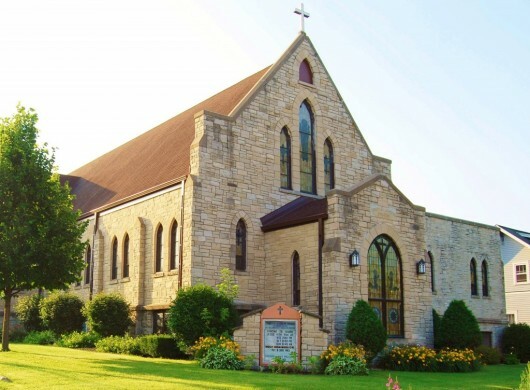 The Mission of Trintiy Lutheran Church is: For Christians, we know how beautiful it is to live life with faith in Jesus, so the mission of our congregation is to always be a part of connecting people to Jesus. The Mission of Trinity Lutheran School is to be the presence of Christ through education by equipping disciples for life. We worship each week on Wednesday evenings at 7:00pm and Sunday mornings at 9:45am. We offer Communion on the 1st and 3rd Sundays of the month. Adult Bible Study is every week except Memorial Day weekend, 4th of July weekend, Labor Day weekend, and Christmas/New Year weekend. Kid's Church starts September 10! Our kids church is during the 9:45am worship service. No need to worry about figuring out where to take your child for Kid's Church. Our teacher will lead the kids to the correct classroom.